How to Cut Down on Complaining Employees Streaming Video and Television: Who’s the Market? 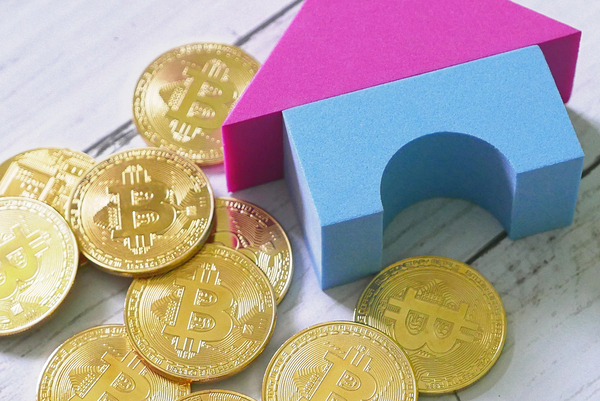 Blockchain, security tokens, and cryptocurrency are poised to change the course of real estate investment, according to David Sacks, one of PayPal’s cofounders who has recently bet big on this potentially transformational approach. Sacks recently made technology news headlines when he declared his bullishness on security tokens, which in many ways bridge the gap between investing in virtual and real assets. Security tokens are an evolving component of blockchain and real estate investment. They are backed by real assets, such as commodities, limited partnership shares, or equity. Subject to federal security regulations, these tokens represent shares and are stored not on paper but rather electronically. The advantage to the tokenization of assets is that the tokens are far more liquid than real estate and other real assets. Using blockchain security, proponents like Sacks argue, reduces the risk of fraud and provides for a deeper level of transparency. The security tokens represent the rights to the underlying asset such as real estate, cash, or fund holdings. The tokens are traded on an exchange managed via blockchain technology. Tokens provide advantages due to the power to offer fractionalized ownership of large assets. Investors also usually face lower issuance fees and, when traded internationally across exchanges, they become price-normalized. For issuers, there’s greater access to capital on a global basis. Sacks believes security tokens will revolutionize investing and believes real estate is a likely first market to adopt the technology. He also has reason to tout the tech as he has recently raised a $350 million venture fund, Craft Ventures, focused on crypto. In real estate, the lack of liquidity is significant and can deter investors who worry a property will be hard to sell. With tokens, however, Sacks suggests investors can buy a portion of real estate. Using blockchain, the tokens can be sold quickly and easily without affecting the related real asset. Sacks also believes that security tokens can ensure compliance with know-your-customer and anti-money-laundering requirements. That’s why he’s also invested in a company called Harbor, which is building a cryptotrading ecosystem that can serve several functions. Sacks is the founder and has brought in former Zenefits executives to lead the company. Security tokens for real estate operate on the same principles of blockchain currencies. One of the greatest challenges is helping investors wrap their heads around crypto technologies and investing. Companies will need to do more to provide user-friendly interfaces and explanations until the tech catches on. For one, Harbor is designed to ensure transparency and compliance with investment regulations by adding coding to tokens to ensure the tokens are traded only by compliant parties. It also allows companies to create tokenized assets. Harbor, for example, requires investors to enter information that is stored electronically. If the accredited investor wants to sell to a nonaccredited investor, the trade will not be processed. Others believe that security tokens could take off among other types of illiquid assets, such as fine art. This may create interesting market opportunities for companies that want to, say, create funds of French Impressionist painting shares that can have their own business strategy and be leveraged long or short. Virtual real estate investment using crypto appears to be the start, but likely not the finish to this transformational investment opportunity. Podcast: Chris Witkowsky, PE Hub & Buyouts — What’s Next for PE? Does Diversity Improve Financial Performance? Which U.S. Start-Ups Are the Most Sought After?